Classifier Advanced is an optional add-on to VisualSpreadsheet® Software. 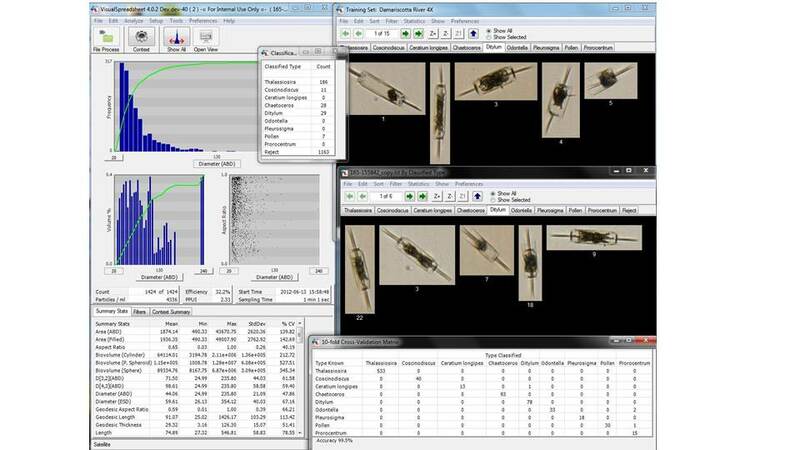 It uses the software’s image recognition capabilities for the purpose of classifying organisms, cells, and particles of interest semi-automatically. Classifier Advanced is a complete redesign of the former classification capabilities using a simple, intuitive Graphical User Interface (GUI) and new Machine Learning methods (Support Vector Machine and Normal Bayes).